Boasting a practical and stylish design, the S'well 16oz Incognito traveler bottle is the perfect addition to your everyday accessories. Crafted from triple walled stainless steel, this themros flask keeps your cold drinks cold for twenty four hours and hot drinks hot for twelve hours. 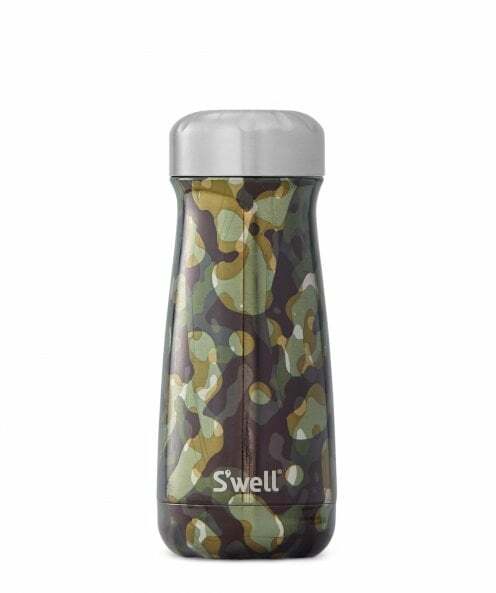 Offering a large mouth that will easily fit ice cubes as well as a vacuum seal, this water bottle by S'well is perfect for trips to the gym, outdoor sports or activities.